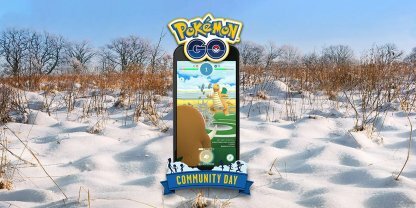 The Pokemon Go Community Day for February is here and it features Swinub! Check out this guide for the duration, unlockable special move, item effects, detailed comparison & more! 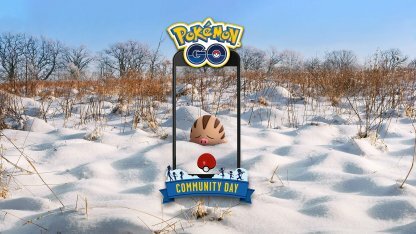 February Community Day Features Swinub! Check Out Swinub's Stats & Moves Here! 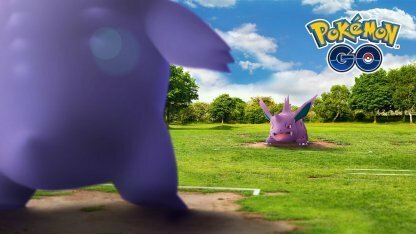 On the 3rd week of February, Pokemon GO's Community Weekend will feature Swinub! Evolve Swinub using the Sinnoh Stone into its last evolution, the 4th gen Mamoswine, to get a special technique. Pokemon GO is implementing Swinub's final evolution - Mamoswine! All Piloswine, Swinub's evolution, evolved to Mamoswine during the event will have the special charged move - Ancient Power! Players need to use a Sinnoh Stone to evolve their Piloswine into a Mamoswine during Community Day and up to one hour after. These can be received as rewards from research breakthroughs or Trainer Battles. 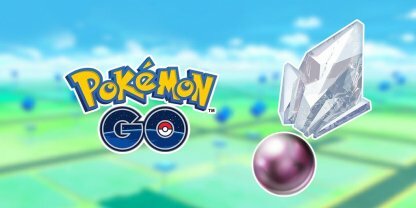 Check Out How To Get & Use Sinnoh Stones! Mamoswine is a unique Pokemon of Ice & Ground Types. It has good stats so it is possible to be used actively in Trainer Battles, depending on its moves. Check Out How To Do PVP Trainer Battles! 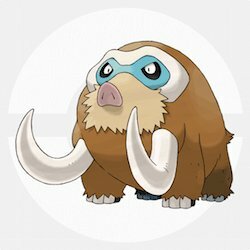 Since Mamoswine is an Ice Type, it is possible that it'll be an effective Pokemon to use against Dragon Pokemon in gym battles or raids. 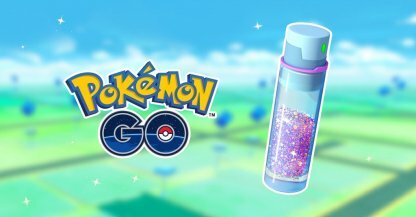 During Community Day, players will receive 3x more Stardust when catching Pokemon. However, Stardust earned from hatching eggs or from feeding berries won't change. Use A Star Piece To Earn Up To 4.5x Stardust! You can use a Star Piece to double the amount of Stardust you earn during Community Day. If you use a Star Piece in conjunction with the Stardust bonus, you can earn up to 4.5x Stardust! Players can earn up to 5 rewards when they battle with other trainers during Community Day weekend. These rewards also include getting up to 5 Sinnoh Stones on the day itself! 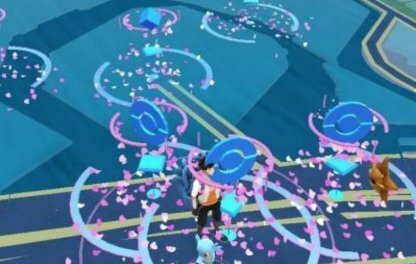 Lures will be active for 3 hours during Community Day, saving you the need to activate one every 30 minutes. Locate a spot near you with many Poke Stops with active lure modules to catch many Swinub. There's no news about a shiny Swinub from Pokemon GO but there is a high chance players will encounter Swinub's shiny counterpart during Community Day. 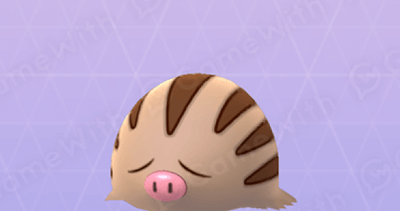 Swinub The overall body color will be yellow instead of brown. Piloswine The overall body color will be yellow instead of brown. Mamoswine The overall body color will be yellow instead of brown. All Mamoswines evolved during or up to an hour after Community Day will have the Rock-Type special charged move - Ancient Power! This move is especially strong against fire, flying, ice & bug types. 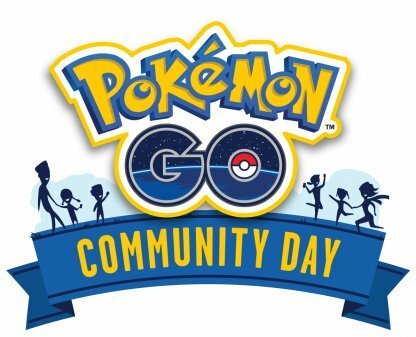 Be sure to collect as many Sinnoh Stones as you can before the Community Day. The more you have, the more Piloswine you can evolve into Mamoswine! You can earn up to 5 Sinnoh Stones in Trainer Battles during Community Day. You'll also get up to 5 rewards per day during Community Day weekend. If you already have a high IV or high stat Swinub in your inventory, you can also evolve it during Community Day. Be sure to mark & favorite this Swinub so you won't forget it. If you want to focus on battling and using Mamoswine for the Great League, be sure to catch low CP Swinub. When you evolve them, their CP will be around 1500, allowing you to use them for the Great League. Save as many Ultra Balls as you can to increase your chances of catching Totodile. Keep turning Poke Stops & Gyms to receive as many items as you can before Community Day. 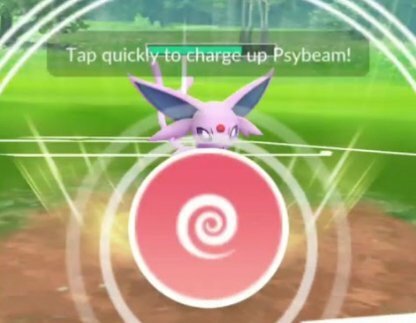 Using a Pokemon GO Plus or Poke Ball Plus during Community Day isn't highly recommended. These devices only use regular Poke Balls and normal throws, giving Swinub the chance to break free & run away. It's recommended to also collect as many Pinap Berries as you can before the start of Community Day. Using Pinap Berries on Totodile will increase the candy you receive when you capture it, allowing you to evolve it faster!